Conference Info: AIESEC, the world’s largest student organization, in addition to providing over 10,000 leadership positions and delivering over 470 conferences to our membership of over 50,000 students, facilitates over 10,000 international internships annually. Students or recent graduates with an academic background or interest in management, business, marketing, entrepreneurship, finance and accounting, human resources management speaking English language. Students or recent graduates with a background or interest in Information Technologies and studies related to it. AIESEC in India current members, with an interest in the spheres of management, business, marketing, entrepreneurship, etc. Student or recent graduates who are interested in any of the above mentioned fields for working abroad on their specialty. Our mission is to explore and develop one’s leadership potential as to have a positive impact on society. 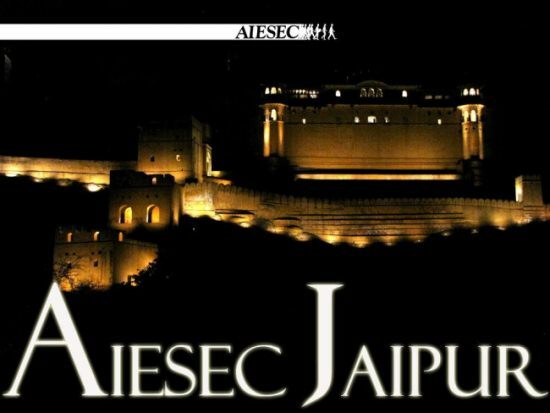 So, to accomplish our mission AIESEC Jaipur is organizing a Youth Conference for AIESECER’s including 8 cities from North and Eastern Region, named Summer Regional Conference 2012.